LAHORE: The chairmen of various union councils have warned the Lord Mayor of an in-house protest and boycott of metropolitan corporation session if he failed to back them in their ongoing “power struggle” with their deputies. On the other hand, the Mayor has postponed the session scheduled for December 9, fearing that a majority of the chairmen belonging to the ruling PML-N may disrupt the routine proceedings of the house, it is learnt. As many as 200 of the total 274 UC chairmen continued their protest against the government for giving certain financial powers to the vice-chairmen in violation of the Local Government Ordinance-2013. They rejected a recent executive order issued by the local government and community development department that advises the UC administrations to route all sorts of approvals related to expenses (except payment of salaries, honoraria and utility bills) through the vice-chairmen. 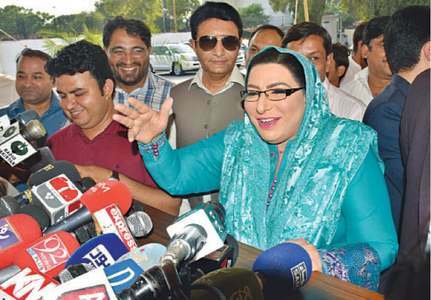 “We were all set to protest and boycott the session scheduled for December 9. But the mayor postponed it after we held a meeting with him on Saturday and asked him to help us in running the UC administrations under the law,” Malik Abdul Sattar, chairman of UC-72, Sanda told Dawn on Saturday. According to a letter issued by the department on Nov 23 to all UC chairmen, the government has increased monthly grant for each UC from 108,000 to 300,000. “Except the bills related to monthly salary, honoraria and utility bills, all other expenses are required to be approved by the vice-chairmen and chairmen. The UCs must maintain record of the entire expenses so that there could be no problem in the audit,” reads the letter. “For approval of the budget, the UCs must follow the Punjab Local Government Act-2013. In case of any violation, the department may initiate disciplinary action,” warns the letter. Mr Sattar said the chairmen were unanimous in demanding that the matters related to running the UC affairs must be regulated under the Act and not through the executive orders. “The vice-chairmen (VC) had no role under the law since it empowers the chairmen to deal with all issues (independently). 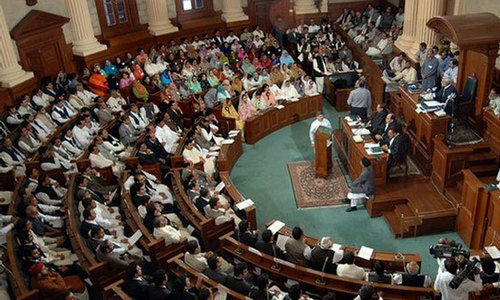 However, following protest by VCs an amendment was introduced by the Punjab Assembly, allowing them, like the deputy mayors, to convene the UC session,” he explained. He said later the VCs again lobbied with the high-ups and succeeded in getting the law once again amended to get financial powers. Through the latest draft amendment, yet to be approved by the assembly, all the UCs expenses, other than the salaries, honoraria etc, are required to be approved by VCs and then the chairmen. “If the entire monthly budget is approved once by all the house members in the session, why it needs a go-ahead from the VC again,” he said, lamenting that without getting this amendment approved by the assembly, the department had issued an executive order to this effect. “We reject this executive order and will never allow the government to do so,” he warned. He said if the order was not withdrawn, the chairmen would first submit a memorandum to the party (PML-N) leadership in this regard and if the leaders did not agree, they would start boycotting the metropolitan corporation session. “And if the both options didn’t work, we will finally move the court,” he said. Talking to Dawn, a department’s senior official said there was no harm in implementing the fresh guidelines issued to all chairmen. “Through these guidelines, we have made both the chairmen and vice chairmen accountable. So what is the harm if the file (related to expenses) is routed through the UC VCs,” he asked.